Twistlab Marketing provided me with a unique one on one experience to help me discover what I wanted out of a website and then saw that vision through to the end. The final product was a website I can be proud of and the education of what I need to do to further promote my business. We couldn't be more pleased with this advertising agency. There are projects of great importance that we simply needed to outsource. Twistlab Marketing listened to our needs very carefully, which made them a perfect partner for these projects. We are very pleased with their work and will continue to use them in the future. When we do business with Twistlab Marketing, we feel taken care of as if we are their only customers. I have been working with Twistlab marketing, specifically Ahmad since my company has opened in June. They have helped us with everything from PPC and SEO to direct mail pieces as well as local studio events. The experience has been wonderful so far and Ahmad is always available when we have questions. I would recommend Twistlab Marketing to any company, big or small. As a new business owner, working with Twistlab Marketing was very beneficial. Ahmad helped me to create a media and social networking campaign tailored to my business. Not knowing much about social media, I was grateful to Ahmad to be so fluent with computers. He suggested ways to help my business grow through different types of advertising, tailoring the needs to my clientele. I would highly recommend Twistlab Marketing to any other small business owner out there, especially ones trying to improve their social media profile. Twistlab Marketing offered us a great price, quality product and timely service, all the elements you look for with a great business partner. Ahmad is the genuine article. When he says he will do something consider it done- no question about his high integrity and standards. As an instructor, Ahmad works hard to deliver quality instruction. In the business world, Ahmad has his clients best interests in mind and will not settle for giving anything less than great service. Anyone that does business with Ahmad will become a return customer. I highly recommend Ahmad. I pushed and tested Twistlab Marketing many times in the process of creating our new "identity" and they always rose to the challenge. If you look past the strictness of the up-front expectations they have, you quickly will realize that they work to your advantage. They were quick, efficient, and always over-delivered. To this day, homes are always going on and off the market, and modifications to the website need to be quick. Twistlab Marketing never disappoints. I just love that I'm able to make a quick phone call asking for a "now hiring" banner and not have to worry about anything else. The design always fits our taste and the rest of our salon and the price is always right. I simply don't know what I would do without Twistlab Marketing because I really am very picky but I don't have the time to deal with prints, designs, ads, etc. 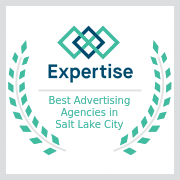 In Utah, advertising agencies are usually pricey or traditional. Twistlab is innovative and efficient. Even though I had a very small marketing budget, Twistlab Marketing was able to work with me and find some good marketing options in my price range. They also helped me set up a professional company E-mail that I use frequently. They are fast, efficient, and honest. I truly feel I can trust this Utah advertising agency. When we first approached Twistlab Marketing and gave them the details of what we need, we got a response different than any response we have received from other advertising agencies. Their honesty and straight forward approach initially came across as somewhat intimidating and almost had us go with one of the other advertising agencies. Our "hunch" made us stick with them as we could see honesty and work ethic in our dealings with them up to that point. We are very happy that we stuck with Twistlab Marketing as we soon realized that their goal is to always over deliver on what they promise and will never publish anything that isn't 100% ready to be published. We highly recommend Twistlab Marketing to ANY company and would like to assure everyone that if these guys say they can do it and in a certain time frame, trust that they will. Twistlab Marketing has partnered with us on several projects in the past, and this latest project was a culmination of advice, design, and strategy guidance that was invaluable. We will continue working with them well into the future. They simply are an excellent advertising agency. I turned to Twistlab Marketing for help when I wanted to establish a presence in the U.S. after running a steady operation in Jordan for several years. They ended up designing a logo and website that fit perfectly with my service offerings and target market, and also helped me come up with a strategy to penetrate the U.S. market starting in Utah. Advertising agencies with a passion to help are hard to find. I have had a fantastic experience working with them and would highly recommend their services. Ahmad is hard working, trustworthy & provides a good service. Ahmad has helped us greatly in the social media area in our company. He is patient with me as I know so little about social media. When I make a request for website changes, Ahmad makes the changes promptly. Ahmad is easy to work with and easy to get a hold of. Ahmad and Twistlab Marketing are quick to action! He has a great sense of business and knows his marketing. The creativity, flexibility, and superb advice has made Twistlab Marketing and Ahmad a great asset in my small business! I first turned to Twistlab Marketing with an idea that has been on my mind for several years, and I asked that they take that idea and help me make it a reality. At first, Twistlab Marketing refused to take on all aspects of the project as they did not feel they could offer me their standard of service for some of the items requested. Having worked with Twistlab Marketing before on other projects, I knew their work ethic and had full confidence in their abilities, so I countered their refusal and I am very glad that I did. Twistlab Marketing did not only deliver on everything that I asked them to, they also over-delivered and within weeks they got my brand new E-commerce website on the first page of Google. I quickly learned that I can trust these guys and that their advice is dead on. I am typically very hands on but after a few meetings and them asking all the right questions I realized that they understand exactly what I am looking for and what my budget is so I gave them complete control of my marketing. And I’m glad I did. Our website, corporate identity and promotional materials all look fantastic and were all ready in time. They were on top of their game every step of the way, and their flexibility to meet me around my busy schedule, their honesty and their integrity also played a major role in making me their number 1 advocate. Twistlab gained a customer a few months ago, that customer is still here today and will be a customer for years to come. I was incredibly worried about the future of my business. Growth was stagnant, and it was clear that something in my business model needed to change quickly or I would not be able to keep up with expenses. I was referred to Twistlab for assistance, and I am so incredibly grateful that I approached them. From the very beginning, they listened to me intently and never made me feel pressured to invest in things I didn’t think I needed. They shared their vision with me and presented me with what I thought was a solid plan of attack. 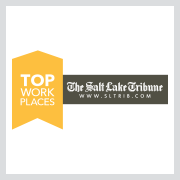 The results exceeded my high expectations, and I still regularly partner with this Utah advertising agency to work on the growth and development of my business. I didn’t have much of a budget when I approached Twistlab for help. I wasn’t sure what to do next, and was completely clueless about how I could capitalize on what I thought was a great business idea. Twistlab worked well within my budget and provided personalized service throughout the process. I am extremely pleased with the result and would happily work with this superb Utah advertising agency again in the future. Ahmad is easy to work with and eager to please his clients. He often goes above and beyond his duties. I am always impressed by both his work ethic and his graciousness. We wanted to start a fairly revolutionary business, and needed help with the logo and website for the company. Twistlab Marketing sat with us to understand the image we were going for and then produced a logo and website that fit our expectations perfectly. 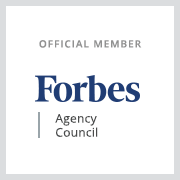 Their services are an incredible value for the quality of product they provide, and I very much identify with this Utah advertising agency’s straightforward approach to communication and responsiveness. When one of my clients needs a great website built in a short amount of time and on a tight budget, Twistlab is where I turn to. I received my cards and they are fantastic and exceeded all my expectations. It was a pleasure dealing with you and your company. Ahmad is very process oriented and a high achiever. He does not only works hard to accomplish the task but is also able to find ways to improve the process. Very talented and well educated, Ahmad is a team player and brings up all those working with him. It has been a pleasure been associated with Ahmad over the years and I look forward to working with him again one day. Our experience with Twistlab Marketing has been excellent. Ahmad has always given us quick competent service at extremely competitive prices. I recommend using their services. Your talent and expertise have been invaluable to me in launching Woof Pack. The logo design is perfect - eye catching, clever and fun. People love the mailers, door hangers & business cards and I love them too. You have given me so many good ideas about marketing, brand development, using Facebook and generally supporting my vision of starting this small business. I am so grateful to have you as part of the "pack" and look forward to working with you more as my business grows! I first called Twistlab Marketing because I heard they have good prices on business cards but wasn't sure what they do. After getting my cards, which I loved, I asked if they could print menus as well, then a banner, then a website, then advice, etc. I never thought I would be willing to spend the money to have a "Utah advertising agency" on my side but I am so happy to say that I have been able to focus my energy on the areas that matter to my business and have grown my business time and time again because I can rely on their marketing strategy and efficient execution 100%. THANK YOU!